A temple devoted to a goddess known as “Yamai” also referred to as “Ye Mai” which when translated means “Come Mother” is located in Maharashtra called Yamai Devi. 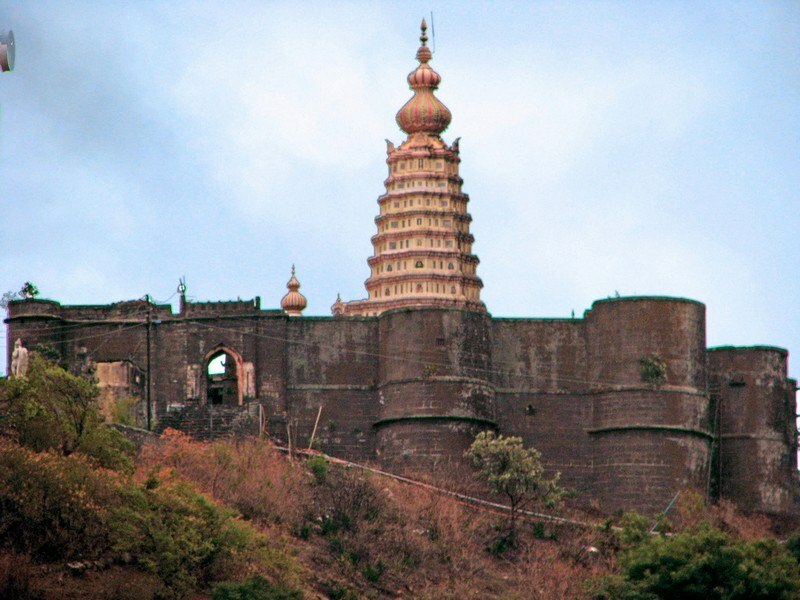 This Devi/goddess temple is situated in the town called Aundh in the Satara district. This Hindu shrine comprises of an idol of Devi Mahishahsur Mardini Yamai made up of black stone and can be seen sitting in a crossed legged position. In addition, this idol also possesses a 7 kilogram pure fold crown/kalash installed by Gayatreedevi Pant, a member of the popular Pant family that has been closely associated to this temple. The ideal time to visit this temple is from October to February as the climate is extremely pleasant with the temperature ranging from a maximum of 30 degree Celsius to a minimum of 12 degree Celsius. The nearest railway station to this temple is located in Satara. The Satara Railway Station is well connected to major cities in the country. There are two routes from Kolhapur to this temple, and they are via NH48 and via Kundal-Sangli. There are three routes from Mumbai to this temple, and they are via Bangalore-Mumbai Highway/Mumbai Highway/Mumbai-Pune Highway and NH48, via Bangalore-Mumbai Highway/Mumbai Highway/Mumbai-Pune Highway and via Bangalore-Mumbai Highway/Mumbai Highway/Mumbai-Pune Highway and Mumbai-Pandharpur Road/Pune-Pandharpur Road. There are three routes from Pune to this temple, and they are via NH48, via NH48 and MH SH70, and via Mumbai-Pandharpur Road/Pune Pandharpur Road. There are three routes from Ratnagiri to this temple, and they are via Umbraj-Chiplun Road, via NH166, and via NH66 and NH166. The closest airport to this temple is located in Pune. The Lohegaon Airport is well connected to major cities in country such as Ahmedabad, Bengaluru, Chennai, Delhi etc. According to a story in the Skanda Purana there existed an arrogant demon called Rakta Bheej, an ardent Lord Shiva devotee. Now this demon had been given a boon by Shiva himself as a result of which he felt powerful. This then resulted in the demon misusing his power and harassing the people in this town i.e. Aundh, which eventually led to sages, gurus praying to Goddess Shakti for help. In turn Goddess Shakti took the form of Devi Yamai, and destroyed the egoistic and troublemaking demon, and thereby restored peace in the region surrounding Aundh. Hence this temple was built so as to honour the victory of the goddess over the pure “evil” of the demon.